The goal of this project is to design and build a spectrograph and carry out a ground-based spectroscopy experiment of your choosing. Each team will have the 2013-'14 academic year to declare a science goal, design and build their instrument, collect and analyze data, and perform some type of educational outreach. 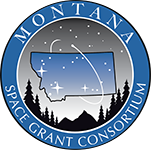 Teams will travel to Montana in May, 2014 to demonstrate their instrument and their findings in a competition-style format. Declare a science goal: the point is to demonstrate the scientific capability of your spectrograph by "figuring something out"
A laptop may be used to interface with your spectrograph for instrument control and data collection. The laptop does not need to be included in your $1,000 budget and Build Award funds may not be used towards its purchase. A selection ofdiffraction gratings is being provided by Richardson Gratings. Each team is allowed one grating free of charge. On the competition days, you will have access to a heliostat that provides a fixed beam of sunlight. Details can be found on theResources page. The maximum diameter aperture that the heliostats can accommodate is four inches; larger apertures are not allowed. The sun may be your team's object of study or a light source for an experiment outside of solar science, but no artificial light sources are allowed. Four Judges will evaluate the Student Solar Spectrograph projects based on four categories: best design, best build, best science observations, and best presentation of results. Judging will be based on teams' own stated science goals as well as general performance benchmarks. An example of a general benchmark would be the identification of Fraunhoffer lines in the solar spectrum to demonstrate resolution and sensitivity of your device. Successfully designing an experiment and building the equipment needed to carry it out may seem like a daunting task, especially in the academic year format of NSSSC. Your team may review this suggested timeline of project milestones, and plan a more detailed timeline according to your team's specific objectives and member availability. September: Make sure registration is in order. Be underway with research into spectroscopy and possible science goals. October: Science goal should be clearly stated. Begin designing, choosing optics, etc. November: Finalize design; calculate theoretical performance capabilities (resolution, intensity, etc.). If design needs are met, begin ordering parts. December: Test parts as they arrive. Make your own intensive schedule for January-May that includes necessary tasks such as fabrication, testing, troubleshooting, calibration, data collection, data presentation, etc. February: Have instrument build and fully operational. Perform in-lab testing. March: Collect data. Finalize plans for travel/ shipping to Montana. April: Present data in the context of your own science goal. Consider giving a practice presentation at home, especially for those taking science communication classes or capstone classes. May: Wrap up your coursework and head to Montana!